CARFAX NO ACCIDENTS, Aluminum Wheels, Backup Camera, Bluetooth, LT Package, 6-Speed Automatic HD Electronic with Overdrive, 4WD, ebony Cloth. Clean CARFAX. 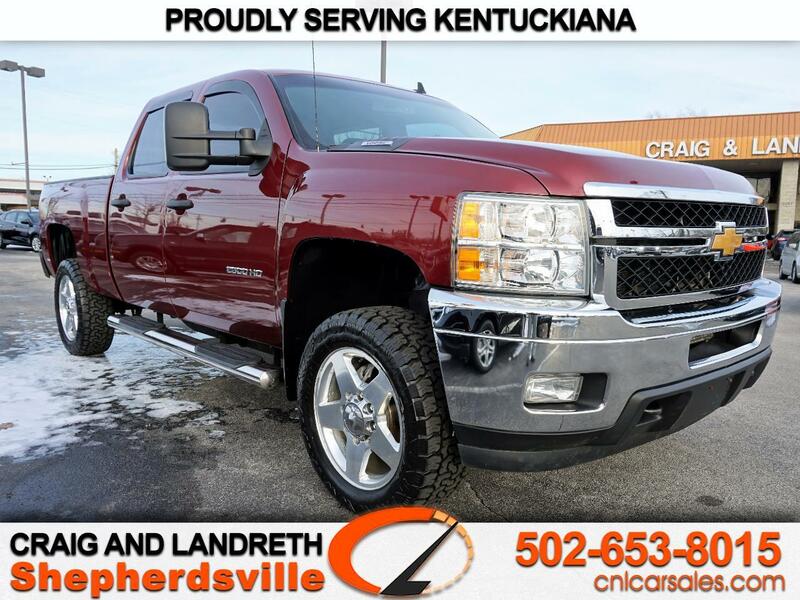 Deep Ruby Metallic 4WD 2013 Chevrolet Silverado 2500HD LT Vortec 6.0L V8 SFI VVT Odometer is 8971 miles below market average! Proudly serving Kentuckiana for over 40 years with an A+ BBB Rating! Having 7 convenient locations and over 800 vehicles, we're sure to have the right car at the right price! Inquire to schedule your VIP test drive today. All prices plus tax, title, lic, and dealer processing fee.